One of the most important component for Your garage or a storehouse is garage door. Nowadays, home use garage door has become very comfortable, modern and safe. For the most part we give our thanks to the automatic opener with remote controls. In addition to the surface of the garage door, you can choose a completely flat (SLICK) or wood texture or other option. It is possible to pick Your favourite model, section type, colour and shape from a wide variety. 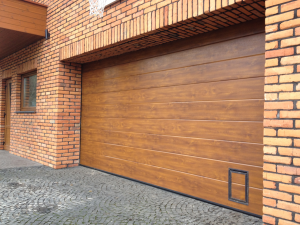 Furthermore, the garage door can be produced with a wood imitation cover. Of course, You can choose door, painted in any RAL colour palette. 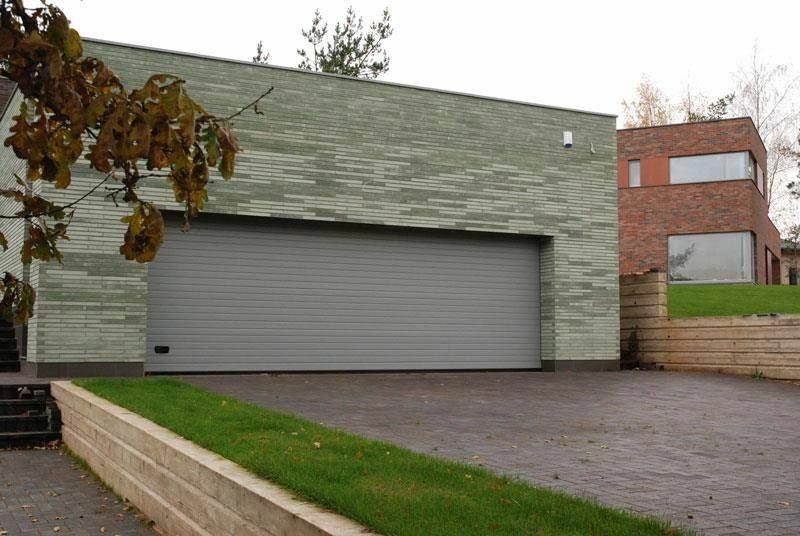 Wood imitation cover makes the garage door look natural. Surprisingly, even when viewed from several meters distance, it is difficult to recognize the real material. In fact, our isolated steel looks very similar to real wood. Usually, a natural light does not go through inside the garage. 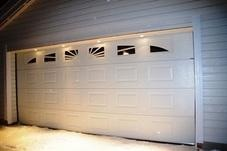 In this case, we produce garage door with a window: sunrise, oval, round or quadrangle shape. Our company will produce a window according Your wish. We use only the highest quality, well isolated profile and material. It is worth mentioning that household garage doors can be assembled not only with the automatic opening button, but also with a push-button opening or with a code lock for workers. Normally, we recommend an automatic opener SOMMER - German, or CAME – Italian made, for a home use garage door. We are sure about an easy use and reliability only when we use the highest quality material, well isolated profile and an automatic opener.